Since leaving the Carnian high trail yesterday, due to the continued trouble with the remaining snow, and above all the massive damage wrought by last winter’s avalanches along the trail (in part the trail and the markings have simply disappeared; elsewhere the trail has become a deadwood jungle), I’ve headed westward instead through the Lesachtal valley. This pristine, high valley is largely untouched by mass tourism, with a fast flowing river running deep below quaint villages and hamlets perched on the hillsides. Utterly picturesque. 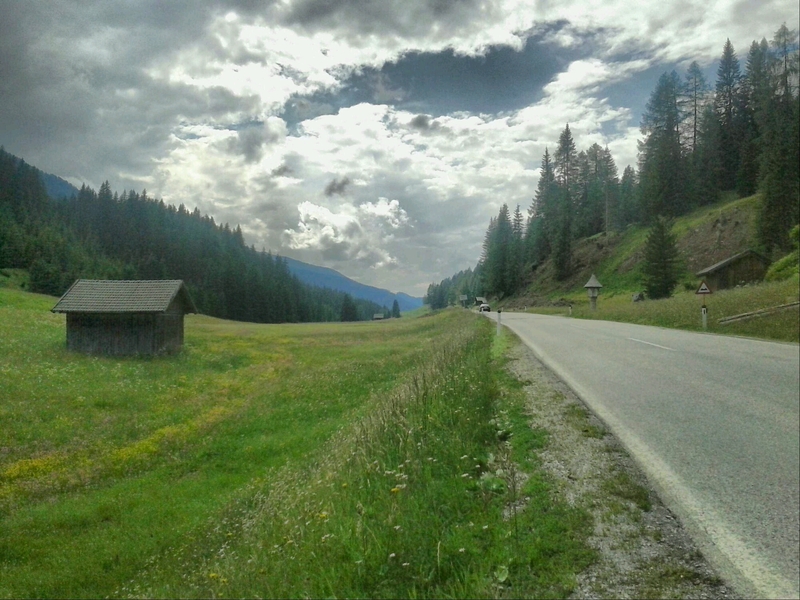 Today, following the trail along the river Gail almost all day, and then the main road over the Kartitscher Sattel (a pass,) I crossed over from the state of Kärnten (Carinthia) into the state of Tyrol; the part called East Tyrol. 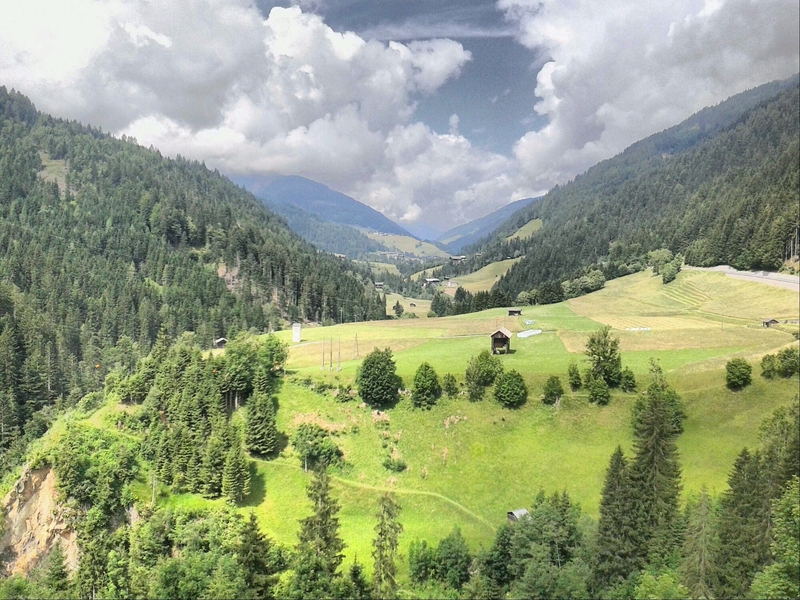 Reaching Kartitsch on the Tyrolean side, and seeing another band of rain approaching, I choose to spend the night in this village. Haus Herrnegger offers simple yet decent rooms with a view, cheaply. It’s nice staying this pretty “Bergsteigerdorf“, “mountaineer village”; these accredited villages are committed to a softer, ecologically and socially more equitable form of mountain tourism which harks back to the original spirit of alpinism. This is the label in Austria to look for for anyone with (justified) qualms about mass-market alpine tourism; the back to the rootsapproach of these villages is worth supporting! The weather has remained unsteady for days on end now, with random heavy rain showers at all times of day and night; which is rather annoying overall, and also particularly makes sleeping out in the tent unappealing. On my pictures it usually looks sunnier because I mostly take them when it happens to be nice! 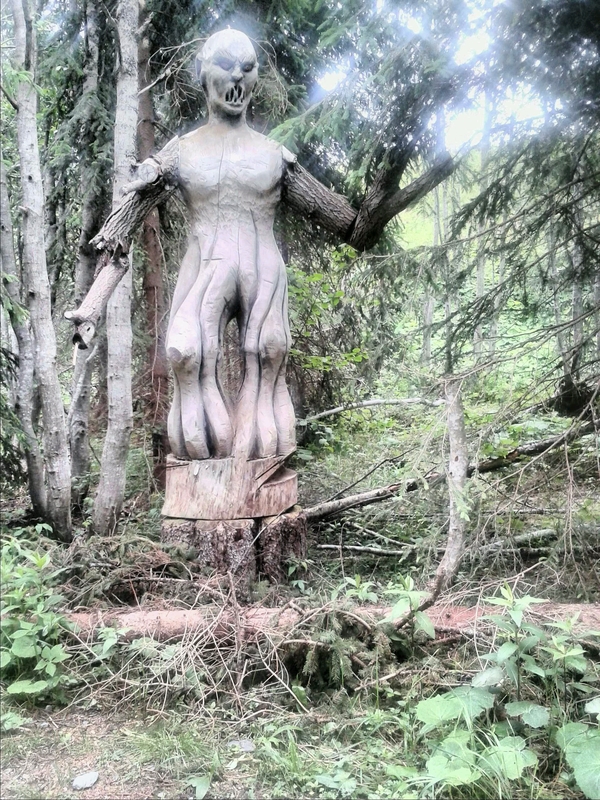 Glad I didn’t meet this fella in the woods at night!